changes aren’t possible without fully embracing the spirit of coaching and having faith in the impact it will have. Below are subtle but important behaviors that the most successful clients exhibit with their coaching sessions. Arriving late for coaching sessions is a sign that you aren’t prioritizing your career and aren’t ready for change. Make being on time a priority and you will see how it positively affects the impact career coaching has on you. If nothing else, show up on time to get your money’s worth from your coach! Please also show professional courtesy by giving your coach 24 hours notice if you have an emergency and must cancel your session. During your session, write down the important information your career coach gives you. Writing these items down will help commit them to memory better and will give a reference document whether you need it tomorrow or a year from tomorrow. This activity also tells your brain how important your career is and makes it a priority, thus, maximizing the results of your coaching. A simple list of action items may seem easy enough to remember but you are much more likely to complete all of your action items when you write them down. For this reason, writing down your action items is the most important action you can take to get the most out of your time between coaching sessions. The work you perform after each career coaching session is just as important, if not more, than what happens during the session. The work your coach suggests for you has a specific purpose – to benefit you and move your career forward. Take this work seriously, do it right away and return any deliverables to your coach at least 24 hours ahead of your next session so he or she can adequately prepare. Dress in a way that makes you feel comfortable and successful. That feeling will rub off and boost your confidence and keep you upbeat and optimistic. If you are ready, career coaching can help jump start your career. One-on-one career coaching is private and very personal. It isn’t a classroom where you sit and listen to a lecture. This is where you let your guard down and dive in to the process your coach is guiding you through. The following cliché applies to career coaching: you will get out what you put in. The items listed below will set your expectations and get you ready to jump in. Coaching works best when you have clear goals that are in alignment with your needs and values. If you are unclear about any of these, your Career Coach will help you identify your needs and values and ensure your goals are in alignment. Working with a Coach is a healthy way to grow. Most clients hire a Coach to accomplish several specific goals. Don’t be surprised if you discover new parts of yourself, or if you find your goals adjusting themselves, to who you really are, and who you want to be. Accelerated personal and professional growth is a true benefit of being coached. Understand that your Coach is here to fully participate in a partnership with you. A partnership is where both sides bright their talents together and work together for a desired outcome. Career coaching isn’t single-sided with the coach doing all the work. You will both have expectations for each session and meeting those expectations will solidify your partnership. Fully invest yourself in this opportunity for accelerated growth and accomplishment. Show up for your coaching sessions on time, fully focused, with an open mind, ready to problem solve, reflect, strategize, and celebrate. Be willing to reduce the clutter in your environment and in your life that stands in the way of your progress toward your goals. Though change can sometimes feel challenging, your Coach is here to help you smooth the way. your partnership strong. Partners communicate with respect as equals, and trust each others intention of well being toward one another. A good Coach will welcome all of your input. When you agree to take action, do your very best to complete the action item on-time. If you are having problems that are preventing you from completing your action items, reach out to your Coach to discuss it. What can I expect from a career coach? Find out who we serve and if career coaching is right for you. How can career coaching help and what are some misconceptions. 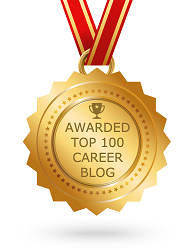 Resources for hiring and getting the most from a career coach. Career coaching may be a totally new experience for you. In order to set your expectations of what your coach is supposed to do, read the list below. It is written for the coach’s eyes but provides you with the insight into what your coach is supposed to do and will be doing in your sessions. Listen for many things, such as the Client’s assumptions and conclusions, evidence of Client’s emotional pain that blocks action; what motivates and excites the Client; self doubt, growth the Client may not be giving himself/herself credit for, resources the Client already has available but may not as yet recognize, and so on. What are the Client’s goals; what does he/she love; what may be frightening the Client that limits him/her from taking action; is the Client being “present time” oriented; Is he/she willing to trust himself/herself, have courage, and take action; how does the Client see himself/herself moving forward in this goal; how can the Coach best support the Client now, and much more. Assist the Client in defining personal and professional goals in alignment with his/her needs, values, interests, skills; assist the Client in creating strategies, discovering resources, and taking action confidently. A Coach is an equal not an expert or an authority. A Coach does not give counseling or therapy, instead a Coach makes requests, offers suggestions, advice and opinions, and shares information that may be helpful in facilitating the Client’s ongoing forward momentum. The Coach is an equal partner in designing the Client’s action plan. When the Coach makes a recommendation for action, the Client always has the power to stop and renegotiate the action strategy. It is the Coach’s job to cheer the Client on; to see strengths and to tell the Client about them; to help the Client to overcome self doubt and accept himself/herself as a person of strength. The Coach will help the Client remember that his/her power is always in the present moment. In order to be in the present moment, it is necessary to have a certain detachment from outcomes. Rather than attach fixedly to a specific outcome the Client desires it is more effective to remain flexible and open while we are making progress. In present time, both Coach and Client, always have the power of choice. It is the Coach’s job to tell the truth 100% of the time, from a viewpoint of compassion and an intention of the Client’s well being. Occasionally this may take the form of confronting the Client with a truth that he/she may prefer to avoid or deny. Offer the Client a mirror that has no judgments attached. It is the Coach’s job to assist the Client in seeing himself/herself as a trusted resource. Knowing to trust oneself and reach out to others in collaboration is strength. Allowing the client to become dependent on the Coach is not what Coaching is about. Use the tips above to help you prepare for your career coaching experience. As you do, keep in mind the classic phrase, “you get out what you put in.” Embrace these tips you’ll get much more out of your investment in career coaching.